Whistler’s Raw Food Restaurant Pop-Up Team Announces the Last Dinner at Burnt Stew Café. Earthsave Whistler screening Fat, Sick & Nearly Dead on June 12th, with guest speaker Adam Hart. 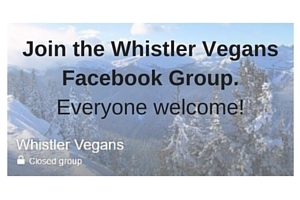 Earthsave Whistler presents Raw Thai Feast with guest speaker Kim Slater, Band Together BC. June 19. “Raw Fiesta!” Raw Food Dinner to take place May 1st in Whistler to Celebrate May Day.